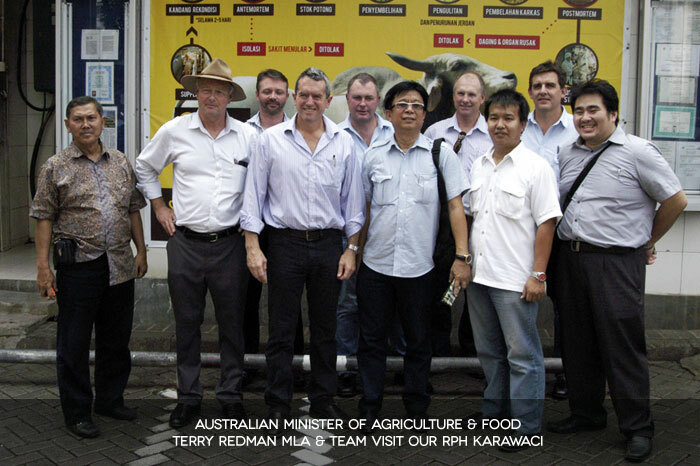 RPH Karawaci is traditional slaughterhouse or abattoir located in Tangerang, Indonesia. 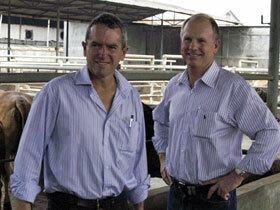 We've been in abattoir industry since 2000. 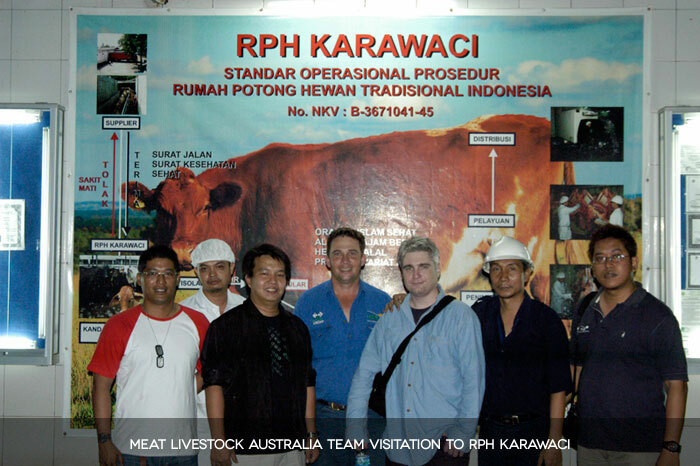 In Indonesian, RPH stands for "Rumah Pemotongan Hewan", which means a slaughterhouse in English. We freshly started as a traditional slaughter house. 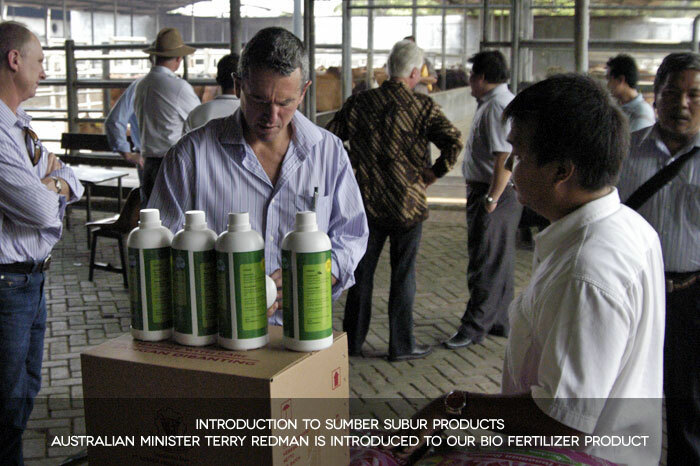 However, we keep improving to be one of the best slaughterhouse practices in Indonesia by implementing the latest technology in cattle slaughter such as Stunning Box. We care about animal welfare. We use the latest technology - Stunning Box.  We are into healthy meat products. 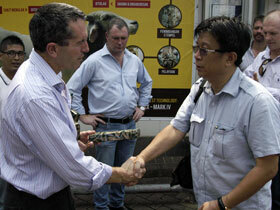 We care about animal welfare. 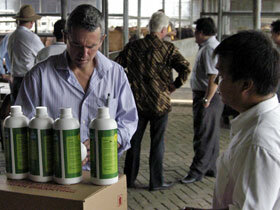 Every cattle in RPH Karawaci is reconditioned in our lairage including bedding, water and feeding, cleaning and health check. 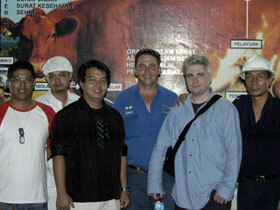 Visitation of MLA & Warwick Cattle Crush Co.
Cattle are supplied from various regions in Indonesia. Health letter, physical condition and RF ID are checked in this process. 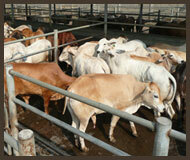 Cattle are kept in the recondition pen for 2-5 days to recover their condition. 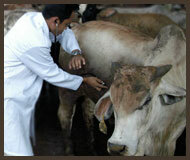 Cattle are examined by our vets. If a contagious disease is found, it will be put in isolation pen. Healthy cattle may proceed to the slaughter stock. 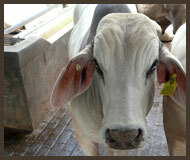 Cattle are taken care by our officers in the slaughter stock pen for 12-24 hours rest before the slaughter process. By using the latest technology in restrain and stun boxes, the cattle are restrained in more comfortable position for a minimal stress before the slaughter process. 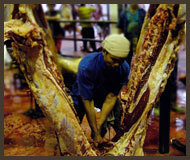 The main slaughter process is done by specialists according to the Islamic tradition. The skin process is done right after the slaughter process. The carcase split is done by our officers before the postmortem process. A detailed check on the internal organs and meat quality. Meat that contains damage will be rejected. 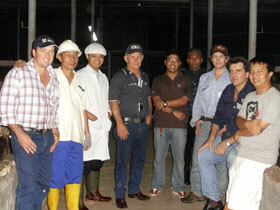 After the postmortem process, the good quality meats are weighed, checked and approved. During aging process, meat will be kept in 0-2 degree Celcius temperature for 1-2 days. 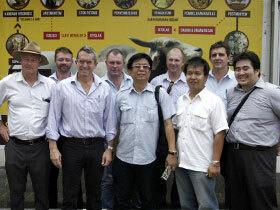 The fresh and healthy beef are finally ready to be distributed to the markets. 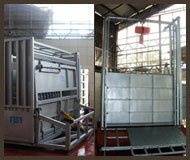 Stunning Box is the latest technology of restraint boxes used in abattoir. 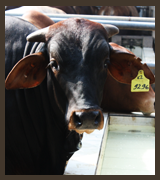 It helps to restrain cattle in more comfortable position so they will have minimal stress before the slaughter process. Therefore the animal welfare is more kept and ensured. Suitable for the animal welfare standards. Give minimal stress for the cattle. Provide slow steady motion of restraining. Avoid uncomfortable pressure on the cattle. More clean and practical operation. 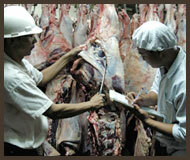 RPH Karawaci is an abattoir with official license and certificates. 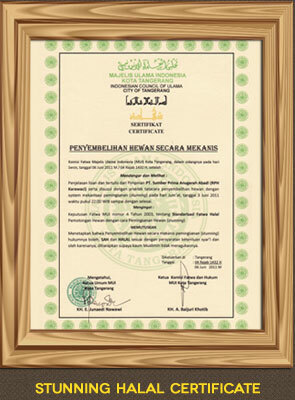 Through audit processes, we have acquired our certificates from Majelis Ulama Indonesia and other governmental departments. 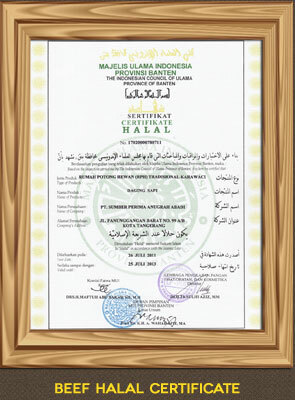 MUI Beef Halal Certificate: 17020000780711. 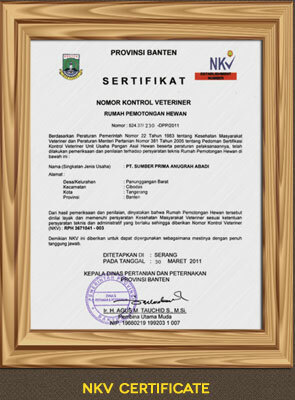 Nomor Kontrol Veteriner: RPH 3671041-003. Stunning Halal Certificate from MUI. This facility is very clean and by all appearances is well run. 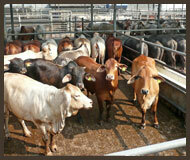 Cattle in holding yards are very comfortable, relaxed and no stress.  Slaughter process in the Mark 4 & Stun Box is effecient with minimal stress seen on cattle. Overall, this facility offers a very good example of good slaughtering. Very professional. 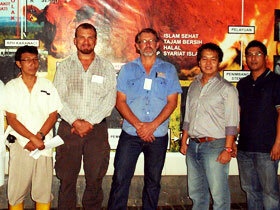 Some of the best practices in Indonesia. Animal welfare needs to be number 1! 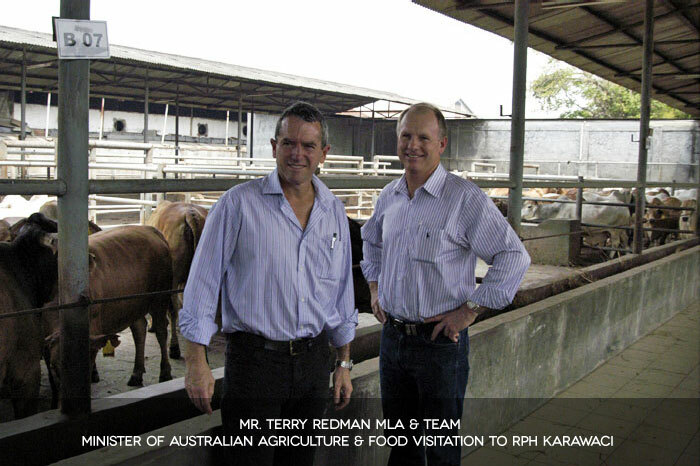 I was very impressed with all aspects of the abattoir from cattle handling, facilities, character and culture of workers, process of slaughter and hygiene. I could not fault any part of the process. Thank you for your kind hospitality. 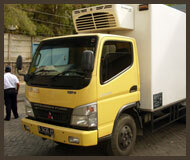 I think that RPH Karawaci is a very modern facility, using Mark 4 and Stun Box. 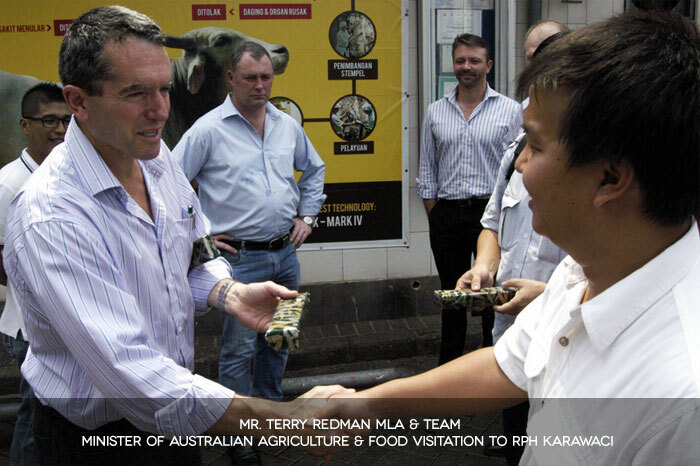 Both staff and management are exhibiting the correct methods for slaughter of Australian cattle. Cattle held in the feedlot behind the slaughterhouse are well cared for and the attitude of everyone allows cattle to have minimal stress, and being well prepared for very humane slaughter. This facility is a credit to the management and staff. 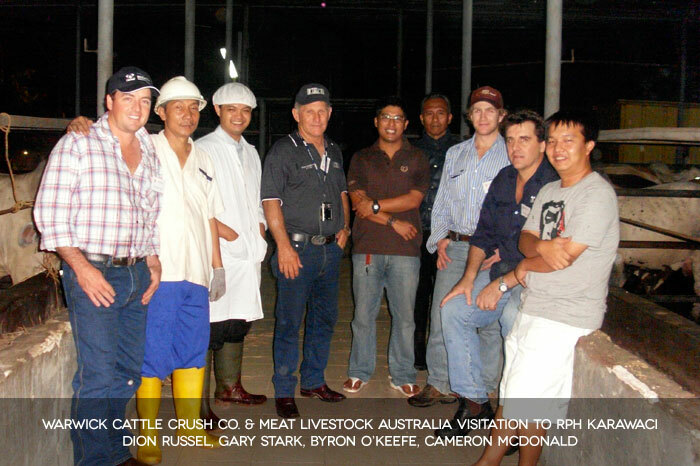 Very well run, cattle well treated, men all work well as a team, equipment is being used correctly. Outstanding abattoir. It is a credit to the people who work here, how good it is. 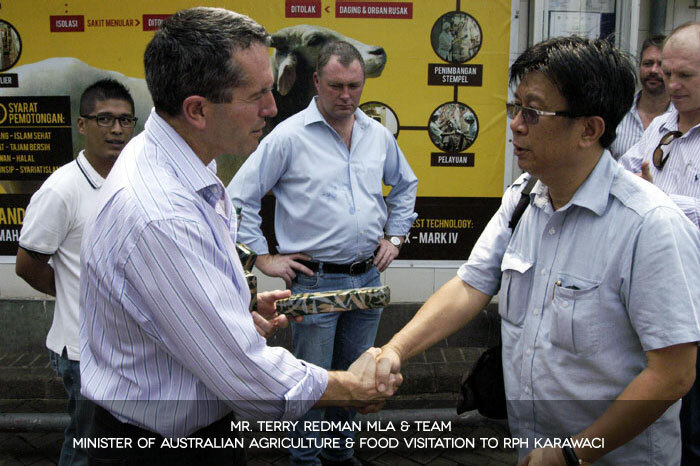 A well run facility, which we will visit regularly to ensure all animal welfare issues are kept to acceptable standards. Very impressed with the operation. 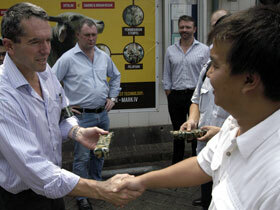 All aspects of the slaughter process are carried out with care and a professional attitude. Well done! 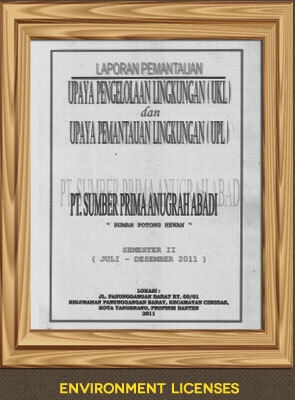 Location: Jl Panunggangan Barat No 189, Karawaci, Tangerang - Indonesia. RPH Karawaci is opened for people who also share in the same interest with us. Feel free to drop us any message for appointment, business deal or even just for a comment. www.rph-karawaci.com © 2011 RPH Karawaci - Traditional Abattoir - Tangerang, Indonesia.